Let me set the scene for you. Hundreds of well dressed people. Pink everywhere. Powerful women speaking. The Academy of Music. 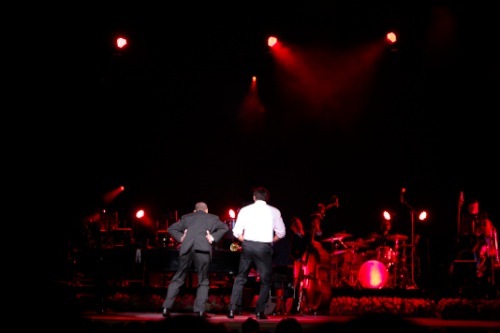 Harry Connick Jr & Orchestra. Laughs, smiles, and tears. Champagne. Blues. Romance. Magic. 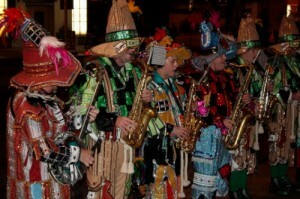 Oh, and even the Mummers! 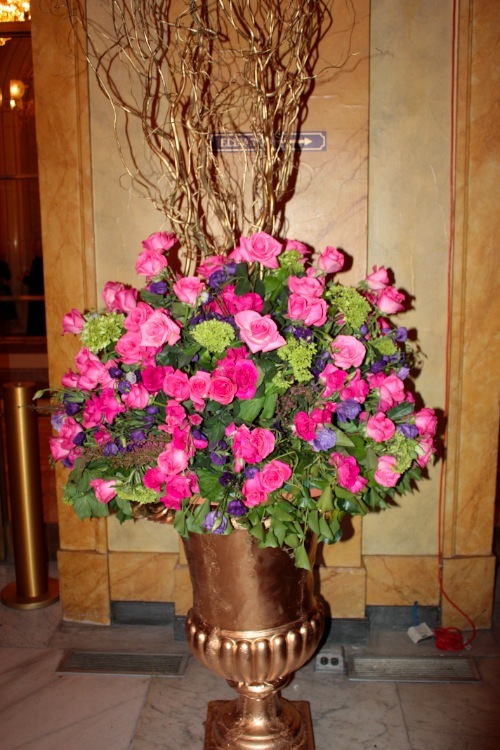 The Rock the Ribbon concert, presented by breastcancer.org, was held in Philadelphia this past Saturday at the Academy of Music. 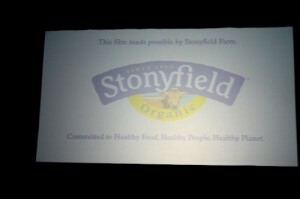 PB and I were invited to attend by chance, as Stonyfield Farms, one of the sponsors, had a few extra tickets. Those tickets in our hands meant so much. 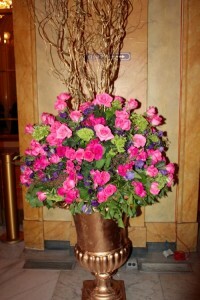 My mom passed away 9 years ago at 42, and she had breast cancer. I never talk about that part unless people ask, but I think it is important to understand my emotional connection to the night. It was so special to be there. 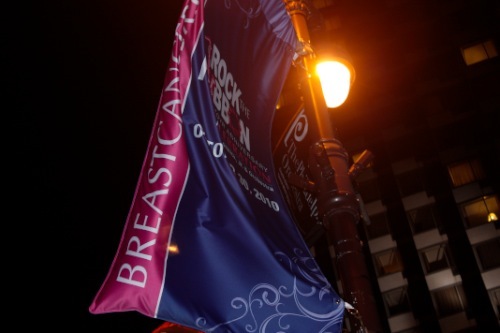 The event Saturday was to benefit and celebrate breastcancer.org, the leading online resource for information on breast health and breast cancer. Dr. Marisa C. Weiss, the founder, shared some interesting facts about the site and what the site would soon offer. She was so inspirational. I love that there is now such a great reliable resource that women (and men) can turn to for support and information. When the speakers were done and it was time for Harry Connick Jr. & Orchestra to take the stage, I was giddy with excitement. I kept looking at PB and giving him this crazy grin while squeezing his hand hard, and I didn’t even know Harry Connick Jr. was a singer until I learned about the event! I did, however, do my research and listened to some tunes before we left the house. I knew we could anticipate some Frank Sinatra tunes. I didn’t know we could also expect some New Orleans tunes!!! Harry Connick Jr. is a true musician and performer. He took a bit to warm up, but then he played our wedding song. And then it felt like we were all friends hanging out and he and his buddies were just playing around with some songs. You can listen to some of his tunes here. Back story: I was a total band geek in high school. I played the trombone in the wind ensemble and the jazz band. I remember getting on the bus with my trombone case and being mortified that I had to sit alone since my case took a seat for itself. I remember opening the spit valve and being so grossed out that I even knew what a spit valve was. I remember leaving band class with a ring around my lips from my mouthpiece and avoiding all the cute non-band boys until it went away. I remember my teachers explaining harmonies and teaching me how to harmonize on my trombone. I remember not knowing what a piece of music sounded like, and when we figured it out feeling exhilarated and moved. It was and still is amazing to me that a group of people can get together with a few instruments and some sheet music and produce magic. Saturday night brought that all rushing back to me. About halfway through the performance an incredible trombone player from New Orleans came out and did a mind-blowing solo. I couldn’t stop tapping my feet, and then Harry Connick Jr. sat down at the piano and I was just lost in the harmonies. We didn’t stop smiling the entire time, and we wish you all could have been there with us. I am now in love with Harry Connick Jr. and his orchestra. I just bought one of his albums on iTunes. And I love how quirky he is. First he apologized for his hair. I will admit that it looked pretty bad. His excuse was that it has to be long for a film he’s currently doing. And then I realized he can’t dance, but he thinks he can. And then he went on a lot of tangents. And then he told a lot of stories in between songs, and made us all feel at home. such a beautiful night. thanks for sharing 🙂 and i am with you as a fellow band geek!!! i played the baritone horn and EVERYONE makes fun of me to this day for it. i am all too familiar with the ring around your lips…! @allison @ livingoneday, You just made my day with this comment! I still get made fun of too!!!! Although I suspect they just must be jealous.. no flutes or clarinets for us!!! @RhodeyGirlTests, hahaha i agree!! all of my girlfriends played cute, feminine instruments and we broke the mold. jealous for sure!! @Evan Thomas, That’s the ONLY way I knew him- as the character on Will and Grace! He said that during the show people would come up to him and be mad and ask HOW HE COULD DO THAT TO GRACE! As in the people thought he was the character! Too funny. Also, major shout out to Harry Connick Jr. and this is a guess, was the trombone player Trombone Shorty? He’s getting major buzz now nationally and he is just uber talented. Love fellow NOLA’ians! Glad you had a great time! 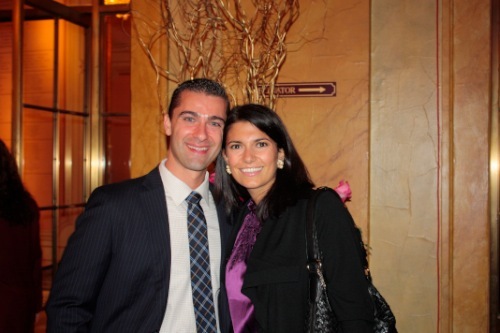 @Amy @ The Nifty Foodie, You are a rock star. I am ashamed to say I was so distracted by the beautiful sound that I missed his name. However, I looked up Trombone Shorty and it isn’t him although now I am intrigued by him too! seems like an awesome event!! nice pics! Fellow band geek here. I played the French Horn. Yeah…elephant noises, spit valves, ring around the lips, learning to tap your toes instead of your whole foot during a performance, etc… I love it when I can listen to a movie soundtrack and my ears automatically tune to the horn section. I almost wish I could still play and wonder if it’s like riding a bike. And Harry Connick Jr is amazing – I love quirky people! @amyjogo, Yeah!!!!!!! The same happens to me with soundtracks. I am so proud to be able to recognize the beautiful sound of the trombone. 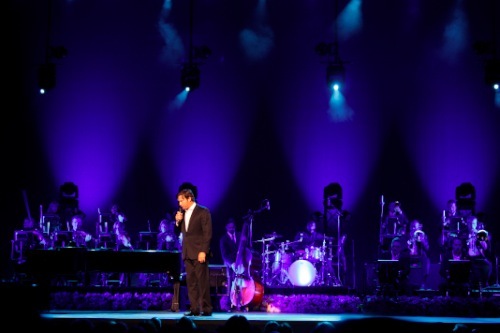 Glad you had to pleasure of experiencing Harry Connick Jr. in concert. Not just a ‘singer’ or ‘performer’. A rare talent, indeed. Download ‘I Pray on Christmas’ for your tree decorating Thanksgiving weekend! @Alicia, He has a whole Christmas album?!?!!? You just made my day! I downloaded not only that song, but the entire album! Hip hip hooray! He is a rare talent for sure.